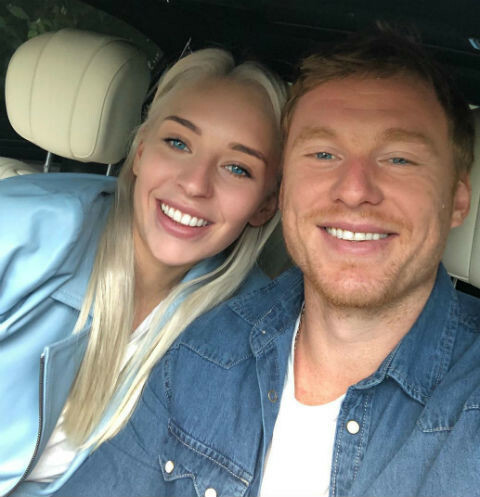 Silver medalist of the Olympic Games in Brazil, Yana Kudryavtseva and hockey player of the Ufa club Salavat Yulaev Dmitry Kugryshev shared the joyful news - the sports stars are engaged! Gymnast Yana Kudryavtseva is rightfully considered one of the most beautiful girls of Russian sport. Silver medalist of the Olympics in Rio de Janeiro prefers not to comment on personal life. That's why many fans until recently assumed that she was still lonely. However, Yana shares more and more pictures with a nice guy, which was the forward of the hockey club "Avangard" Dmitry Kugryshev. Their affair became known in the spring of 2018. Relations developed quickly, and apparently the lovers came to the conclusion that they want to spend all their lives together. Recently, Yana shared a photo of the wedding ring with a caption: "Yes. Dima, I love you ". Fans immediately congratulated the girl. "My God, how glad I am. You guys are perfect for each other," Let everything come to life and come true the way you dream "," I congratulate once again, and I'll tell you everything else at the meeting, "the fans and friends of the sportswoman wrote. Lovers are now spending together all their free time. In breaks between competitions they like to have a rest abroad. So, in the spring, Yana and Dmitry went to Thailand, where they arranged a real romantic vacation. "Our days are happier when we give people a little of our heart, and not part of the mind," - wrote Yana. It should be noted that earlier the girl had a romantic relationship with the CSKA basketball player Mikhail Kulagin. The young man constantly spoiled his beloved with expensive gifts, and fans thought that they'd marry. However, Yana and Mikhail suddenly broke up, after which the gymnast began dating the "Zenith" player Artur Yusupov. But this relationship were not meant to succeed. Apparently, Kudryavtseva could only believe in the sincerity of Dmitry's feelings. Fans hope that the wedding will be held in the very near future, and the gymnast will share with them the details of preparations for the holiday. However, while Yana is stingy for details concerning personal life. In the interview the girl prefers to talk about sports achievements and hobbies. However, the fans are sure that the wedding will take place before the summer Olympics in 2020. 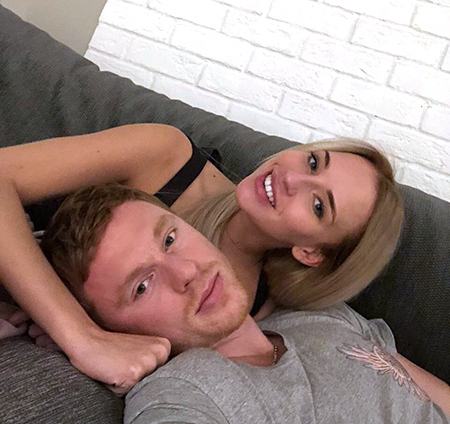 13-times world champion in rhythmic gymnastics and silver medalist of the Olympics in Brazil, Yana Kudryavtseva received a proposal of the hand and heart from her lover, hockey player of the Ufa club "Salavat Yulaev" Dmitry Kugryshev.